"OSTI" redirects here. For other uses, see OSTI (disambiguation). OSTI provides access to energy, science, and technology information through publicly available web-based systems, with supporting tools and technologies to enable information search, retrieval and re-use. DOE R&D Accomplishments highlights outcomes of past DOE research and development which have had significant economic impact, improved people’s lives, or been widely recognized as a remarkable advance in science. DOE Data Explorer searches collections of DOE scientific research data, such as computer simulations, figures and plots, interactive maps, multimedia, numeric files and scientific images. DOepatents provides a searchable database of patent information resulting from DOE-sponsored research and development. Energy Science and Technology Software Center provides a searchable database of DOE's centralized software management facility. Science Conference Proceedings provides single-query searching of conference papers and proceedings on multiple websites and databases. EDUconnections, highlights university research departments and libraries across the nation to increase awareness of DOE's valuable scientific and technical information. 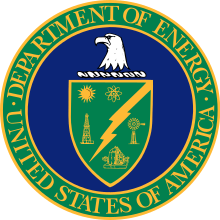 EnergyFiles, the Energy Science and Technology Virtual Library, provides single-query access to over 500 databases and websites containing information and resources pertaining to science and technology of interest to DOE, with an emphasis on the physical sciences. Science.gov OSTI hosts this USA.gov science portal in collaboration with 17 organizations within 13 Federal science agencies. These agencies are also members of CENDI, a cooperative group of scientific and technical information (STI) managers from the 13 federal agencies and programs. Science.gov provides a gateway to over 2,100 websites and offers deep web searching of more than 50 databases containing science information and R&D results. WorldWideScience.org provides a global science gateway through a multilateral partnership to enable federated searching of national and international scientific databases and portals. OSTI's entire line of electronic products may be accessed through its home page, where users may search multiple databases from the Science Accelerator with one query.